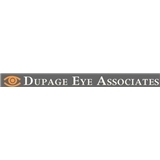 Dupage Eye Associates (Downers Grove) - Book Appointment Online! Specializing in Medical and Surgical Treatment of the Eye Welcome! At Dupage Eye Associates we are committed to excellence. With our state-of-the-art technology and superior quality of care, we are committed to making your experience positive and successful. Our philosophy of traditional personalized care is uncompromised.